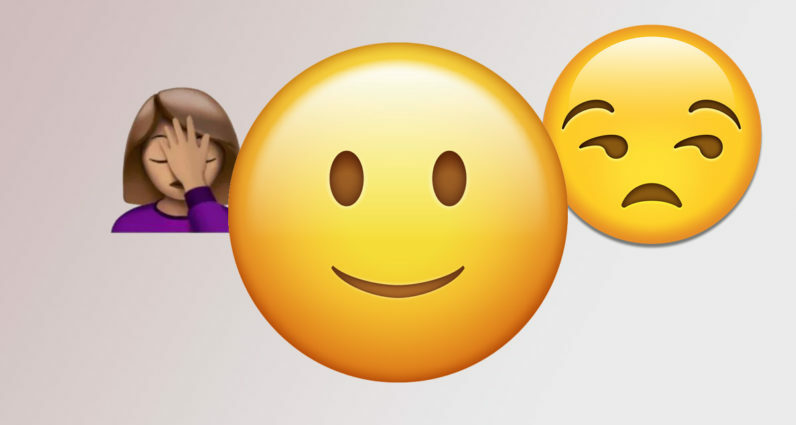 It has been scientifically proven that the more you smile the more people like you, but it turns out this this pattern might not necessarily translate all that well in the language of emoji. Researchers from the University of Amsterdam, the University of Haifa and the Ben-Gurion University in Israel have discovered that using smiley face emoticons in formal business communication could be causing your colleagues and customers to doubt your brains. The research, which has been published in the Social Psychological and Personality Science Journal under the title The Dark Side of a Smiley, asked 549 participants from 29 different countries to read work-related emails from unknown people in order to evaluate the competence and warmth of the sender. To make things more interesting, some emails contained smiley face emoji while others didn’t. The outcome revealed that, contrary to smiling in person, the smiley emoticons had no effect on these aspects in online communication. In fact, the researchers discovered that smiley face emoji bore a negative impact on the receiver’s perception of the sender. “The study also found that when the participants were asked to respond to e-mails on formal matters, their answers were more detailed and they included more content-related information when the e-mail did not include a smiley,” Glikson remarked. She also noted that smileys undermine information sharing. The experiment also showed that, when anonymous, senders who included smiley face emoticons in their emails were often presumed to be women. This, however, had no relation to the evaluation of the individual’s competence or friendliness factors. So next time you want to establish your aptitude with your remote-working higher-ups and customers, better forget about the 🙂 emoji.